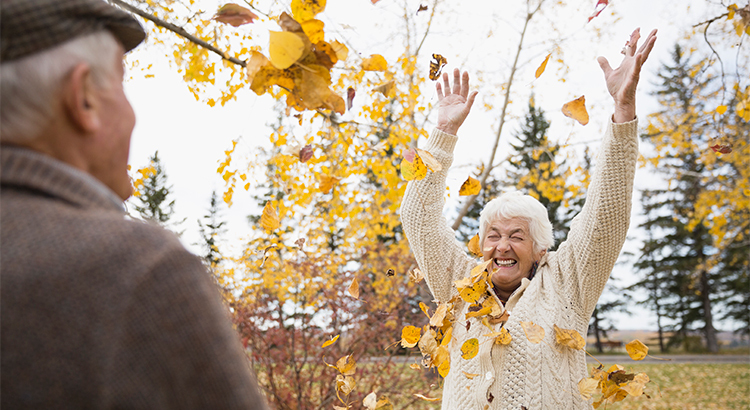 5 Reasons You Should Sell This Fall! Here are five reasons why listing your home for sale this fall makes sense. The latest Buyer Traffic Report from the National Association of Realtors (NAR) shows that buyer demand remains very strong throughout the vast majority of the country. These buyers are ready, willing and able to purchase…and are in the market right now! In fact, more often than not, multiple buyers end up competing with each other to buy the same homes. Housing inventory is still under the 6-month supply needed for a normal housing market. This means that, in the majority of the country, there are not enough homes for sale to satisfy the number of buyers in the market. This is good news for homeowners who have gained equity as their home values have increased. However, additional inventory could be coming to the market soon! Historically, a homeowner stayed in his or her home for an average of six years, but that number has hovered between nine and ten years since 2011. Many homeowners have a pent-up desire to move as they were unable to sell over the last few years because of a negative equity situation. As home values continue to appreciate, more and more homeowners will be given the freedom to move. Today’s competitive environment has forced buyers to do all that they can to stand out from the crowd, including getting pre-approved for their mortgage financing. This makes the entire selling process much faster and much simpler as buyers know exactly what they can afford before home shopping. According to Ellie Mae’s latest Origination Insights Report, the average time it took to close a loan was 44 days. If your next move will be into a premium or luxury home, now is the time to move up! The abundance of inventory available in these higher price ranges has created a buyer’s market for anybody looking to purchase these homes. This means that if you are planning on selling a starter or trade-up home, your home will sell quickly AND you’ll be able to find a premium home to call your own! According to CoreLogic, prices are projected to appreciate by 5.1% over the next year. If you are moving to a higher-priced home, it will wind up costing you more in raw dollars (both in down payment and mortgage payment) if you wait. Look at the reason you decided to sell in the first place and determine whether it is worth waiting. Is money more important than being with family? Is money more important than your health? Is money more important than having the freedom to go on with your life the way you feel you should? RE/MAX Real Estate Experts is Memphis, TN's most innovative real estate team. © 2019 Memphis Area Association of REALTORS®. All rights reserved. IDX information is provided exclusively for consumers' personal, non-commercial use and may not be used for any purpose other than to identify prospective properties consumers may be interested in purchasing. Information is deemed reliable but is not guaranteed accurate by the MLS or RE/MAX Real Estate Experts. Some or all of the listings displayed may not belong to the firm whose website is being visited. Data last updated: 2019-04-24T12:03:31.74.